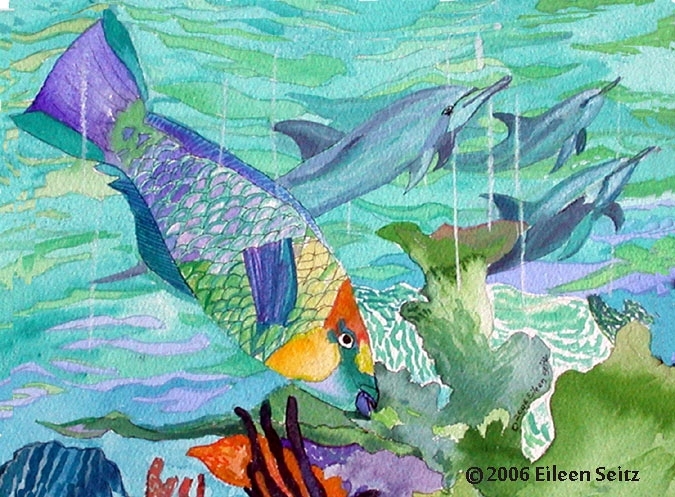 The Beauty of the deep sea, parrotfish and dolphins playfully swimming together in harmony. Image: 11.25" x 14" / Surface: 13" x 16"
Image: 10.25" x 15.5" / Surface: 16" x 20"
Image: 8" x 10" / Surface: 8" x 10"
Unframed watercolor. packed flat and shipped to you.